The IN VIVO Blog: Deal Of The Week: Nyet! The Russian government’s announcement on April 19 that its ministry of foreign investment has rejected Abbott Laboratories Inc.’s plans to buy a domestic vaccine manufacturer, NGO Petrovax Pharm, highlights the nuances and complexities of deal making in emerging markets. As required by Russian law, Abbott filed for permission to buy Petrovax in the fall of 2012. Published reports put the reported bid at $280 million, plus a $25 million future payment. The government’s motives for the kibosh remain unclear as of this writing, but Russia, as is the case in many countries, considers vaccines to be a strategic priority and might not want any foreign company, let alone Abbott, to own the company. Abbott’s motives are more transparent. 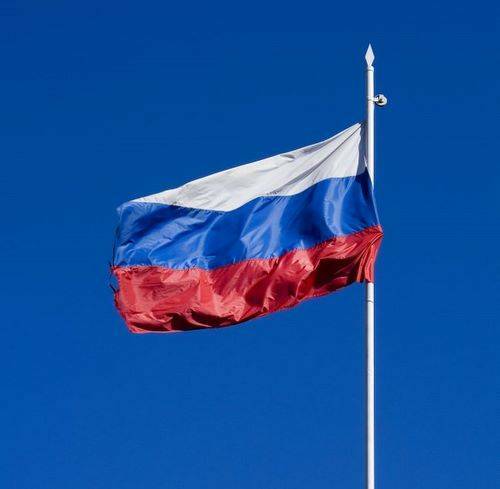 Many pharma companies see Russia as an attractive growth opportunity, especially since the government has embarked on a major initiative to build its life sciences ecosystem. And while the country’s operating environment is complicated, so are those of other emerging markets. Abbott is no longer a pharmaceutical company, since it spun out that portion of its business on Jan. 1 to create AbbVie Inc. But it did hang on to the company’s established products business unit focused on mature and off-patent branded drugs, which includes a seasonal flu vaccine, Influvac, and which would have been responsible for Petrovax. Petrovax, founded in 1996 by a team of Russian flu-vaccine researchers, is one of a handful of domestic makers of innovative medicines and one of the few owners of GMP-approved production facilities in Russia. As such, it is an intriguing example of the kind of domestic company the Russian government hopes will flourish as the country modernizes its biopharmaceutical industry. A patented influenza vaccine Grippol, discovered by Petrovax, is a best seller in Russia, and the company also makes the immunomodulator polyoxidonium. But Russia has woefully few companies focused on developing their own innovative drugs and relies heavily on imports from foreign drug manufacturers for the most modern medicines. In 2009, it implemented Pharma2020, a blueprint for reinvigorating the domestic biopharma industry and building a scientific ecosystem that will lead to discovery on its own soils of new drugs. The near-term goal of the program is to encourage tech-transfer among foreign and domestic companies, in order to strengthen the local industry. While these, along with broader government initiatives to improve Russia’s healthcare system and standard of living, are spurring Western interest, they lead to questions about how Russia can best balance the goals of foreign biopharma companies with its desire to be self-sufficient and foster a thriving domestic industry. Now that Russia has entered the World Trade Organization, the questions gain in relevance. All of this will be the topic of discussion at the “Spotlight On The BRICs: Russia Track,” one of several clusters of panels that open the biotech industry’s big annual convention on April 22 in Chicago. The author of this week’s DOTW column is slated to moderate one of the panels associated with this track, specifically on Russia’s Pharma2020/ modernization program. “The Pink Sheet”/ EBI’s Chris Morrison will be moderating two panels: Battle of Biotech Wits, which he describes as “BIO’s only game show, where the audience gets to vote in real time on which panelists are giving the best answers to today’s most difficult and pressing questions.” A second he’s spearheading on “Adventures in Academic Partnering,” explores “what pharma wants from its increasingly large suite of academic partners, and how are industry’s leading companies structuring deals that gain them access to academia’s top technologies.” Other EBI correspondents will be in attendance, notably Start-Up biopharma editor Alex Lash and PharmAsia News India editor Vikas Dandekar. PharmAsiaNews executive editor Josh Berlin’s panel “Finding Innovation In Emerging Markets” ties directly to a driver we’re seeing more of—tapping innovation in and bringing innovation specifically developed for emerging markets to those regions. It’s a phenomenon known as ‘reverse innovation,’ and you can expect to see more of it as big Western companies hungry for growth, and looking over their shoulders at rising savvy competitors in the East, are aware of, if not quite ready to adapt. Roche/Ascletis: Roche and Ascletis are collaborating to develop and commercialize Roche’s investigational hepatitis C drug danoprevir in China, under a deal announced on April 15. The deal calls for Ascletis to fund and oversee the regulatory process, development and manufacturing of the drug in greater China, including Taiwan, Hong Kong, and Macau and receive payments upon reaching certain development and commercial milestones. The partners will collaborate on clinical development and commercialization. No direct antiviral agents are available currently for HCV in China, where more than 10 million people are infected with the disease. The majority of these are genotype 1b, which is highly responsive to danoprevir. Roche has no plans to develop danoprevir, a protease inhibitor, which also is effective against genotype 4, for the West, where the drug would face intense competition. GNS Healthcare/CMS: GNS Healthcare, a data analytics firm, is partnering with the Centers for Medicare & Medicaid Services to assess the Department of Health and Human Services’s quality measures. In an agreement announced April 18, GNS will apply its Reverse Engineering and Forward Simulation analytics and machine learning platform to determine the impact that CMS quality measures have on the quality of patient care. Eli Lilly/Siemens: Eli Lilly & Co. continues to plunge ahead with its Alzheimer’s disease programs despite some high-profile setbacks. It announced on April 17 that it has bought two tau imaging tracers and related technologies from Siemens Medical Solutions U.S.. The tracers are used with positron emission tomography to create images of tau tangles in the brain, and could be useful in monitoring treatment response and progression of Alzheimer’s disease, said Daniel Skovronsky, who founded Avid Radiopharmaecuticals Inc., sold it to Lilly in 2011, and became the pharma’s vice president, Tailored Therapeutics. He also remains CEO of Avid, which operates as a stand-alone division. Santaris/Bristol-Myers Squibb: In the third RNA partnership in the last month, Bristol-Myers Squibb Co. and Santaris Pharma AS have entered into a broad discovery and development deal. For the biotech, it brings a new partner into the string of deals that continue to be its main source of capital. The deal disclosed on April 16 is to discover and develop candidates using the biotech’s Locked Nucleic Acid (LNA) platform. Santaris develops oligonucleotide therapeutics that target disease-related messenger RNAs (mRNAs) and microRNAs. Santaris will receive $10 million upfront and up to $90 million in potential milestones and research funding, in addition to undisclosed royalties on worldwide sales of any resulting products. Xencor/CSL: Australian drugmaker CSL Ltd. has licensed Xencor Inc.’s technology platform for use with its monoclonal antibodies. Financial details of the license were not disclosed, but the companies said that Xencor will receive an upfront payment plus preclinical, clinical, regulatory and sales milestone payments, as well as royalties on product sales. Xencor’s Xtend platform increases the half-life of proteins, allowing for a better pharmacokinetic drug profile by introducing subtle changes to the protein sequence. CSL is best known for its work in blood plasma and vaccines. The company has products for hemophilia, immunodeficiency, and blood loss during surgery in their pipeline. The companies did not reveal what therapeutic areas would be pursued under the collaboration, but CSL will provide the targets. Epizyme/Abbott: Epizyme, focused on personalized medicine approaches to cancer, announced a partnership with Abbott on April 18 to develop a molecular companion diagnostic test for one of its candidates. The test is to be paired with EPZ-5676, an inhibitor which targets the DOT1L histone methyltransferase for mixed-lineage (MLL-r) leukemia, an aggressive genetically defined subtype of acute myeloid and acute lymphoblastic leukemia. Deal terms were not disclosed.